Two freshman Republican senators are trying to end taxpayer-funded pensions for members of Congress. 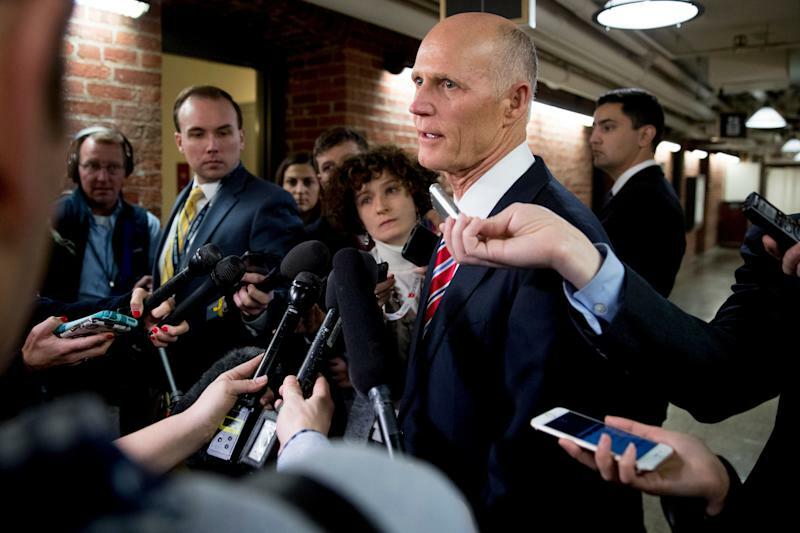 Senators Mike Braun of Indiana and Rick Scott of Florida announced the End Pensions In Congress Act on Tuesday. According to a 2017 report from the Congressional Research Service, members of Congress are eligible for a pension at age 62 if they have served for at least five years. Members qualify for a pension at age 50 if they’ve completed 20 years of service, and members of any age can receive a pension after 25 years of service. The size of the pension depends on years of service and the average of the highest three years of salary. “I think it’s time for that to go, especially when you look at the performance that both Congress and senators have provided over the last few decades. It’d be not only symbolic – it just shouldn’t be a perk that’s there in anymore,” said Braun. The CRS report said 611 retired members of Congress were receiving federal pensions based at least in part on their Congressional service, as of October 2016. Braun argues U.S. representatives and senators should use their Thrift Savings Plan to save for retirement, which is similar to a private sector 401(k). (All Congressional members are eligible for a pension plan as well as the Thrift Savings Plan). Defined contribution plans like 401(k)s have become the predominant retirement saving vehicle for the private sector, with 47% of firms offering them, compared with 8% of companies offering defined benefit plans, or pensions, according to the Bureau of Labor Statistics. Florida Gov. Ron Desantis introduced similar legislation under the same name when he was serving in Congress, though it did not become law. Braun said he expects it will be difficult for his bill to make it to the president’s desk. “It’s got a long journey ahead of us, but that doesn’t mean we can’t try to get the discussion going,” said Braun. Braun has also introduced a bill that would prevent members of Congress from being paid if they fail to pass a budget on time.